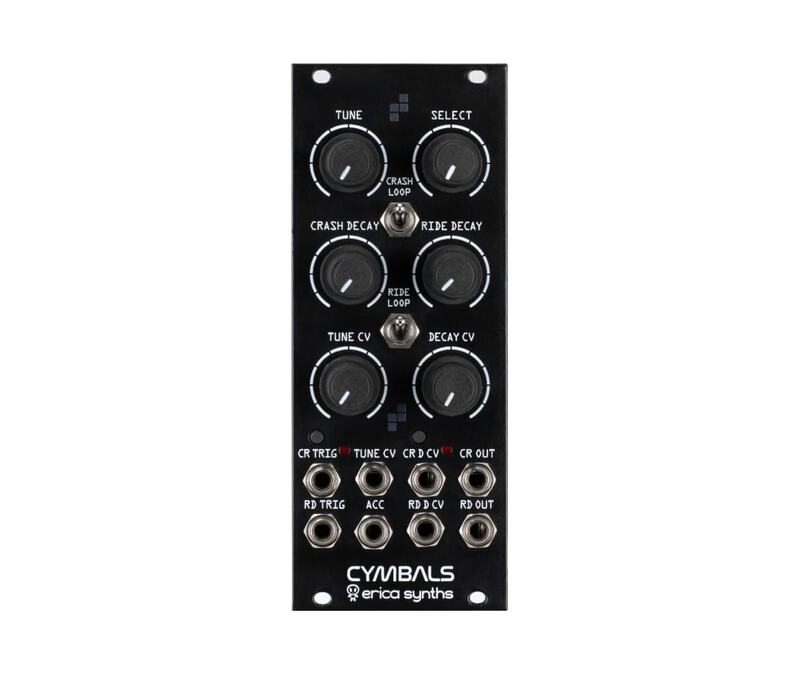 Erica Synths Cymbals is a distinct topology digital/analogue module, where cymbal samples are passed thru AS3330 based VCA and controlled via envelope generators of unique design. The module features 10 sets of custom Crash and Ride cymbal samples with Tune control and individual Decay control. Accent and CV control over Tone and Decay allow you to create lot of variations in the Cymbals track. An extra feature is sample looping when its on, a certain part of the sample is looped while the envelope decay is on, thus creating a distinct, delay-like effect. Cymbal samples are developed by producer and musician Nero Bellum.